Our bird of prey photography workshops offer an excellent opportunity to not only capture stunning images in natural surroundings, but also act as an excellent environment in which to learn – composition, perfecting exposure and new approaches. We run our bird of prey workshops in two locations Mid Wales and in Leicestershire. Mark and Danny have worked with the Falconers for a number of years now and during that period we have built a good understanding of what is needed by photographers for the workshop. Mark runs bird of prey workshops outside Welshpool and near the English/Welsh border and where you will have the opportunity to photograph from a wide selection of falcons, hawks, and owls with the emphasis totally on UK and European species. Current potential highlights include a Peregrine, Buzzard, Kestrel and Long-Eared Owl – the latter completing our UK breeding owl repertoire although the participation of any particular species in a workshop cannot be guaranteed. There are a wide variety of natural habitats to photograph in so, Barn Owls on old stable doors and Buzzard mantling its next meal are amongst the many possibilities, with the additional chance to test your skills capturing birds in flight too. 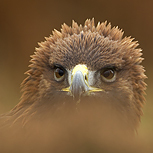 Each day offers a unique opportunity to have private access to photograph in stunning settings and the day is ideal for the photography enthusiast after some great pictures and coaching on composition, lighting and predicting behaviour as well as the falconry fan looking for a close-up experience. This is an Owl focussed workshop offering the opportunity to photograph them in natural light, silhouetted at sunset and under studio lights (all provided) for the night-time images that really do them justice. We’ll start the workshop at 2pm and look to take full advantage of the afternoon winter sun which can be glorious before taking up position to work on silhouettes as the day draws to a close. After an early supper to let the darkness really set in, we will look to use state of the art remote battery-operated studio flashlights (which will be being provided by The Flash Centre especially for the workshops, along with all required to make them work with your camera including very simple tuition so don’t let this put you off at all) to create some atmospheric night time shots. Owls feather details in particular look stunning under these lighting conditions – your images will be totally different to daytime shooting. The dates are designed to coincide with the birds routines of night flying shows, and given the need to hook your camera up to flashlights during the evening session numbers will be restricted to just 8, although this does necessitate an increased workshop price of £140. 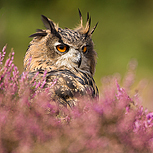 Danny runs bird of prey workshops in Leicestershire and these one day workshops are geared to working on birds such as Golden Eagle, Peregrine Falcon, Buzzard and Eagle Owl in a moorland environment which again is a perfect backdrop for these spectacular birds. Our falconer is excellent with his birds and really understands the needs of wildlife photographers and natural looking images are what we always try to achieve. The dates in August, September and October are timed to coincide with the flowering of the heather which will add a splash of colour for these classic moorland birds. There are limited car parking spaces at the place where we photograph the Birds of Prey so you will need to meet in the car park at Bradgate Park at 10.00 am. A separate itinerary with the details will be emailed to you when you book on the workshop. As soon as everyone has arrived, we will then decide which cars to share to go to the location for the Birds of Prey workshop. We will travel to our location Coalville in Leicestershire where we will meet Richard the Falconer and the birds to do the workshop. All photographic standards are welcome and you can be assured of individual tuition. If you have any questions on the day then please ask as I am here to help, some people do feel uncomfortable asking questions in a group but we’re all here to learn different techniques. We will break for lunch at 13.00 hrs and sandwiches will be provided. I would suggest you bring a flask of tea or coffee as there is no cafeteria. The workshop is scheduled to finish at 17:00 hrs. We will be photographing these types of birds in moorland environment which is a perfect backdrop for these spectacular birds. Richard our falconer for the day is excellent with his birds and really understands the needs of wildlife photographers and as natural looking images are what we always try to achieve, he is aware of any Jessies showing in your images. The birds could change as we have to take into account whether they are moulting or healthy enough for the given day but we have four birds to work with from this selection. Golden eagle, goshawk, peregrine falcoln, eagle owl, buzzard. Camera(s) + spare batteries etc. Digital or Film cameras are suitable. Lenses 300mm and 500mm will be ideal for the static shots and a 100mm macro can give some good close up head/eye shots as well. Camera cover or if you don’t have one you can use a plastic bag (just in case it rains). Thermal flask of tea or coffee.